LIQUIDSTATE FREEDIVING is the first to bring AIDA freediving education to Fiji. AIDA (International Assosiation for the Development of Apnea) was founded in France in 1992. The original founders developed the education system that all other training agencies base their courses on. 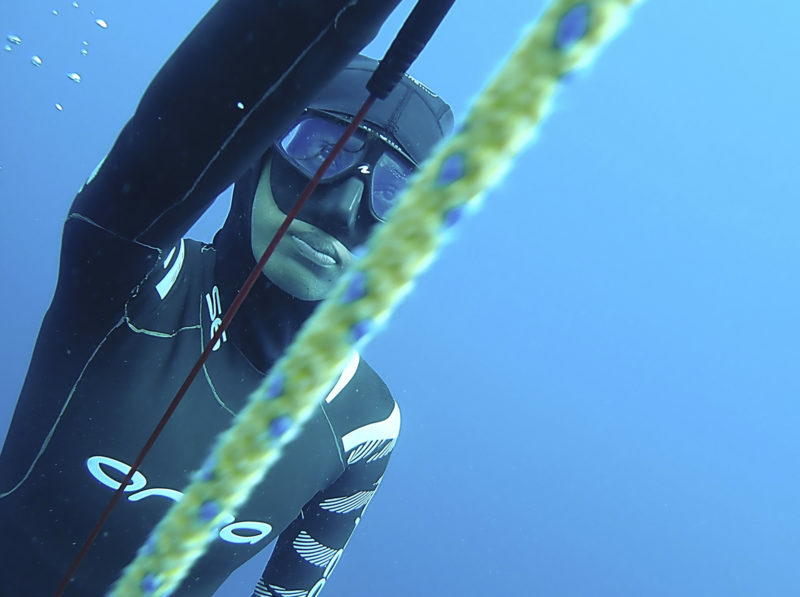 AIDA is the governing body for international freediving competition and world records. AIDA is a non profit organisation working towards the advancement of freediving as a sport as well as the physiological science involved. We at LIQUIDSTATE FREEDIVING are driven by the passion for freediving and want to share that passion with you. Freediving can be a positive life changing experience. Whether you are a snorkeler wanting to spend more time at depth or an advanced freediver wanting to increase breath-hold time and depth; whether you are a spearfisherman wanting access to bigger targets deeper down or a surfer who wants more breath-hold confidence to tackle bigger waves; whether you are interested in the meditative and relaxation aspects of apnea and pranayama yoga or you are a gas guzzling scuba diver wanting to improve air consumption and become a safer scuba diver, we at LIQUIDSTATE FREEDIVING can help you to unlock your bodies potential to dive on one breath. We are all born with this ability. 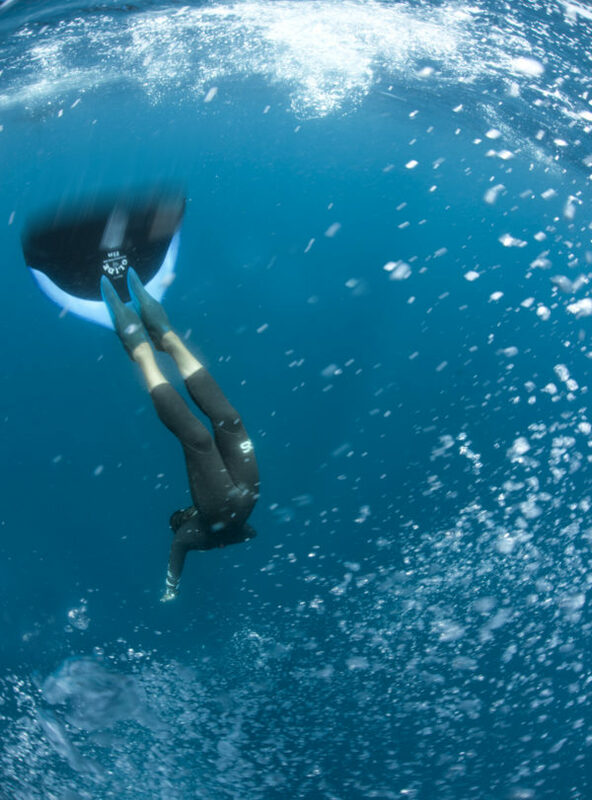 Freediving is not an extreme sport and is extremely safe to learn and practice following AIDA standards. LIQUIDSTATE FREEDIVING is 100% Fijian owned and operated. We use only late model, state of the art equipment and we choose dive and training sites with the best possible conditions to make your experience as fun and safe as possible. 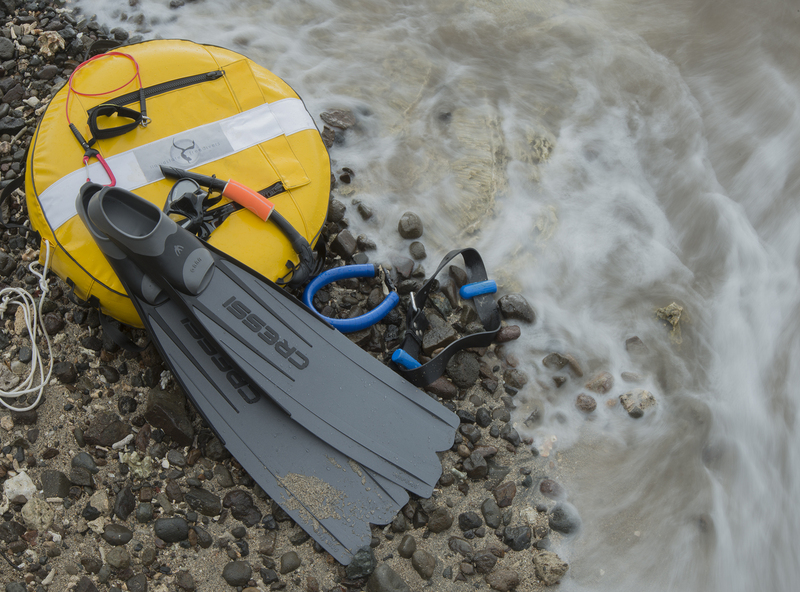 For those who are more familiar with PADI, we also offer PADI freediver certification. In addition we teach EFR (Emergancy First Responder & CPR) courses with certification for scuba divemasters, instructors and master freedivers or anybody interested. LIQUIDSTATE FREEDIVING is located in the picturesque small seaside town of Savusavu on the island of Vanua Levu in the Fiji islands. There are several flights daily from the international airport in Nadi and there are ferry services from the capital Suva. Transfers in the Savusavu area are free. We can also arrange accomodation to suit your budget. This is an informal introduction to freediving with no set curriculum or certification and takes usually half a day. The activities during this introduction are solely based on your experience and confidence in the water, but should get you familiar with the concept of relaxation as preparation for breath-holding, equalisation and very basic safety. 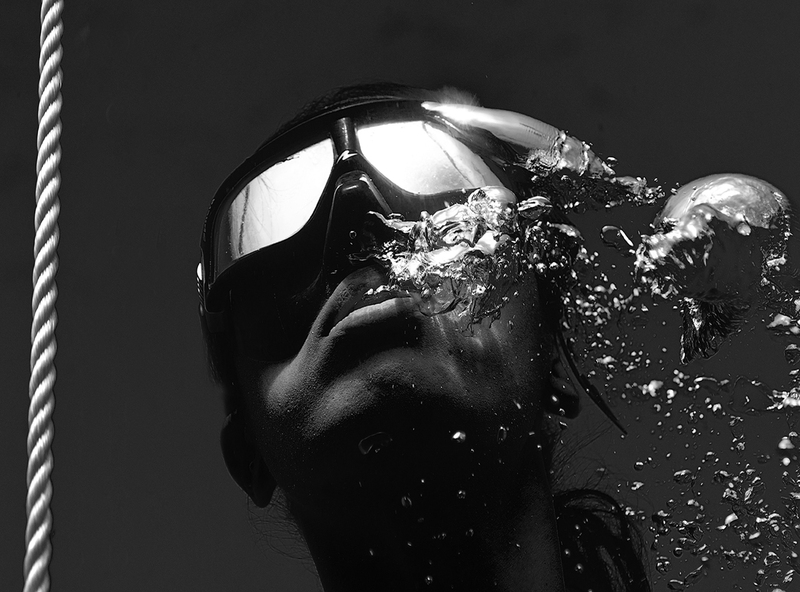 The aim is to create a feeling of well-being underwater. No matter what your background in diving is, the AIDA 1 Freediver Course will open your mind to the ‘quiet’ underwater experience. 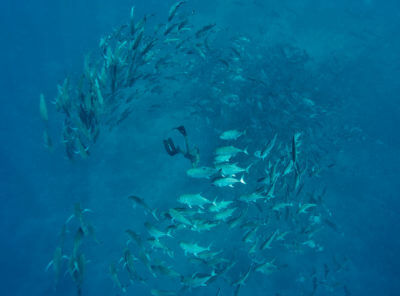 In AIDA 1 Freediver Course, you will learn the very basics theory of Freediving. What is Freediving? What kind of equipment is needed? How to prepare yourself for a breathhold dive including breathing, duck dive, finning, buddying and safety techniques? What are the main risks and dangers and how to counter them? You will learn the basics of freediving in a confined water (usually pool) as well as open water (sea or lake). AIDA 1 is recommended for students with either no previous freediving experience or who would like to try freediving over one day and still get a qualification. Think of the AIDA 1 course as a freediving foundation course. There are no minimum requirements to pass the course. Your Freediving Instructor will guide you through this journey of well being and Fun. Once completed you can sign up for the AIDA 2 Freediver at a later date or even the day after. Prerequisites: 18 years of age (16 with guardian’s consent), be able to swim 100 meters. Our AIDA 2 Freediver course is for confident snorkelers or swimmers who want to learn all the basic theory and techniques of freediving. This is probably the most challenging and rewarding AIDA course. 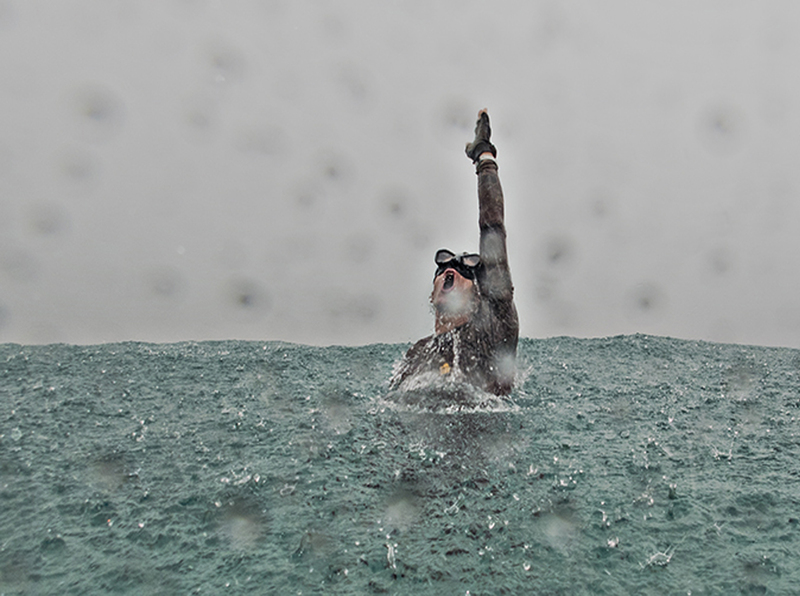 For those who are already confident in the open water this course is your starting point. Our course builds a foundation of good technique and safety so that you can buddy with other AIDA 2 freedivers. Progressive adaptation to the depth. be able to swim at least 200m non stop without fins and at least 300m non stop with mask, fins and snorkel. Be an experienced scuba diver (a minimum of 25 scuba dives), or an experienced spearfisher (diving already to a minimum of 10m), or experienced in any underwater sports. In order to get more of your freediving course, consider to take an extra coaching / training session, at your choice. It can be static in the pool or training in the sea. We are offering a SPECIAL price for any coaching / training session before or / and after a course with us. Our AIDA 1 and 2 package freediver course is by far the most popular way to get in to freediving. This format is specially made for people who are wondering if they are more suitable for AIDA 1 or more suitable for AIDA 2. So if you have any doubt, it would be simple to join our AIDA 1 and 2 packaged course. It combines the 1st and 2nd levels of the AIDA educational ladder in 3 to 3,5 days of fun sessions. Our course is designed to make you discover and develop your potential as a freediver . AIDA 2 exam to pass at the end. To successfully complete the AIDA 1 and 2 freediver package course you will have to perform a 2 minutes breath hold, swim in the Dynamic 40 m underwater with fins and dive to 16m in the open water. 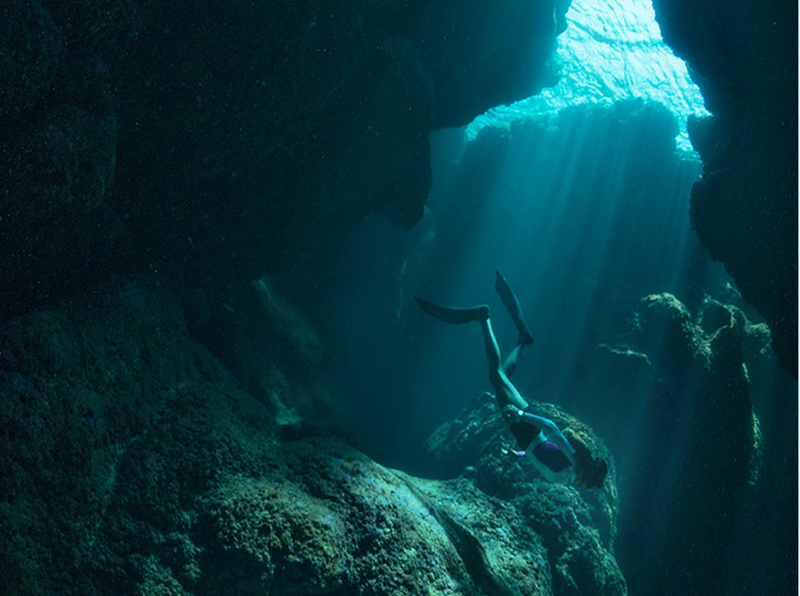 At the end of the course you will be able to freedive comfortably to depths of 15/20 meters. Prerequisites: 18 years of age (16 with guardian’s consent), be able to swim. You are already a certified freediver with some good experience. You are interested to go deeper, or stay longer in Static Apnea, and improve your freediving technique? Our AIDA 3 Freediver course is designed for the most demanding freedivers. This course goes with more details into the theory and training concepts of Freediving, which will allow you to understand the physiology and techniques behind deep freediving. Our Instructors will help you to improve your Freediving performances safely, whilst advancing buddy and rescue skills. AIDA 3 is an intermediate course which builds on the skills learnt in the AIDA 2 course. It is designed to cover the necessary skills and knowledge for a recreational freediver to be able to safely freedive with or without a guideline. The aim of the course is to develop the skills and knowledge necessary to independently plan and participate in freediving activities with similarly experienced freedive buddies. Our course is also designed to develop new skills and a higher knowledge of safety procedures and techniques for freediving such as free falling, Frenzel equalizing, training tables, the risks of increasing and decreasing pressure and how to minimize these risks. You will learn what happens to the body (and lungs) when the surrounding pressure becomes greater and how the body adapts to this (mammalian dive reflex). You will learn more about equalization techniques and how to perform or master the Frenzel technique. The confined water sessions (usually pool) will allow you to practice O2 and CO2 tables, learn training concepts for static and how to prepare a maximum attempt. We will refine your swimming and diving techniques, improve your streamlining position, and perform Frenzel equalisation efficiently while freediving. You will learn and practice the free falling and how to be very relaxed when freediving to depth. More rescue scenarios at depth and on the surface will be practiced. 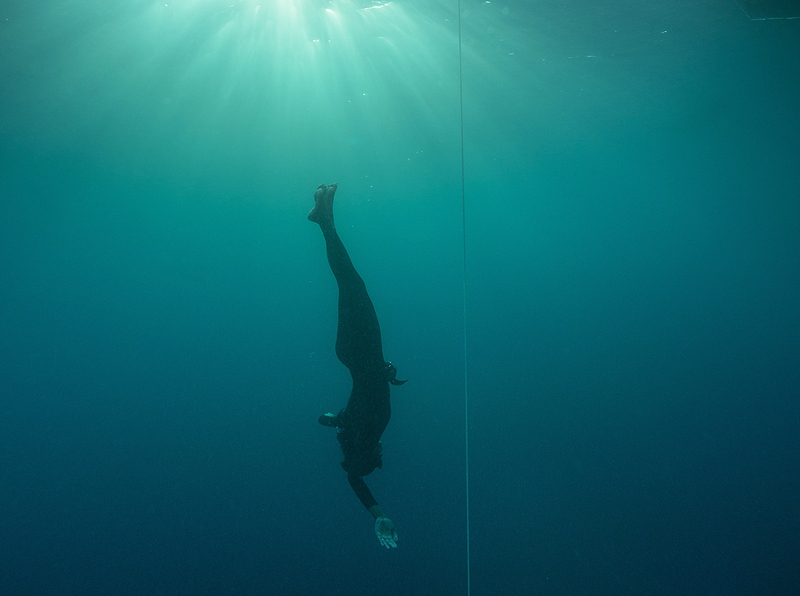 To successfully complete the AIDA 3 freediver course you will have to perform a 2 minutes 45 seconds breath-hold, swim 55m in Dynamic with fins and freedive to 24 meters in the Constant Weight discipline. At the end of the course you will be able to freedive comfortably with an experienced buddy to depths of 25/30 meters. 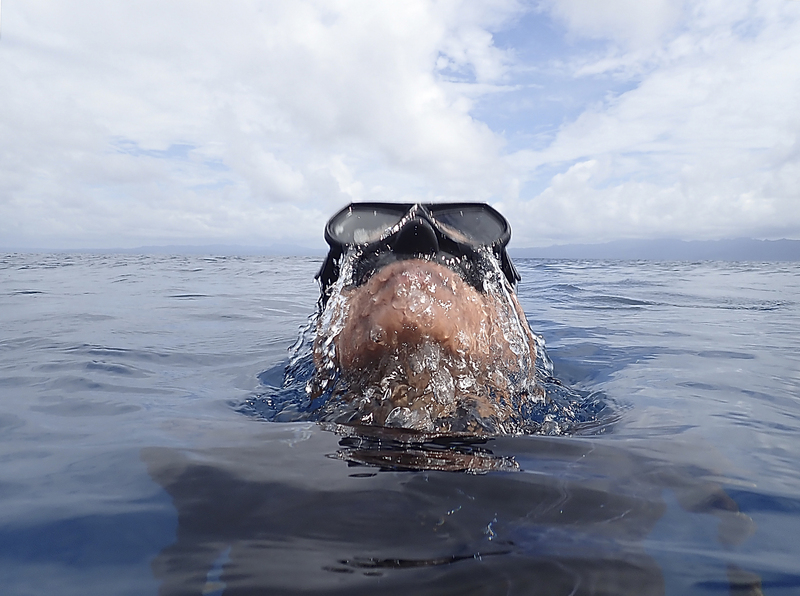 Have completed the AIDA 2 Freediver course or a qualifying certification from another freediver organization – cross over evaluation will be performed and it is not included in the course fee. Course duration: Usually 3 days. We will use video analysis to help you improve your technique. principles and focus on practicing breathhold techniques in a pool or confined water site. Confined water session to learn breath-hold techniques as well as static and dynamic apnea, plus proper buddy procedures. Goal – static apnea of 90 seconds and dynamic apnea of 25 metres/80 feet. Prerequisites: 12 years old or older (with written parental consent). You need adequate swimming skills and need to be in good physical health. No prior experience with snorkelling, skin diving or freediving is required. Taking the PADI Freediver program is your step towards discovering the underwater world in a whole new way. Beginning with the PADI Freediver certification, you will gain the training and discipline needed to stay safe during breath hold dives. You will develop the knowledge and skills for basic static apnea, dynamic apnea, free immersion and constant weight freediving from 10-16 metres/30-55 feet. Confined water session to learn breath hold techniques and static and dynamic apnea. Goal – static apnea of 90 seconds and dynamic apnea of 25 meters/80 feet. Goal – constant weight freedive of 10 meters/30 feet – Maximum is 16 meters. 15 years of age (with written parental consent). Be able to swim 100m without swimming equipment. No matter the education system that you have followed prior to AIDA, you can still join the most reputable international education system. After our AIDA 2 or AIDA 3 crossover course, you will become familiar with the AIDA Educational System and be assessed according to the AIDA standards. 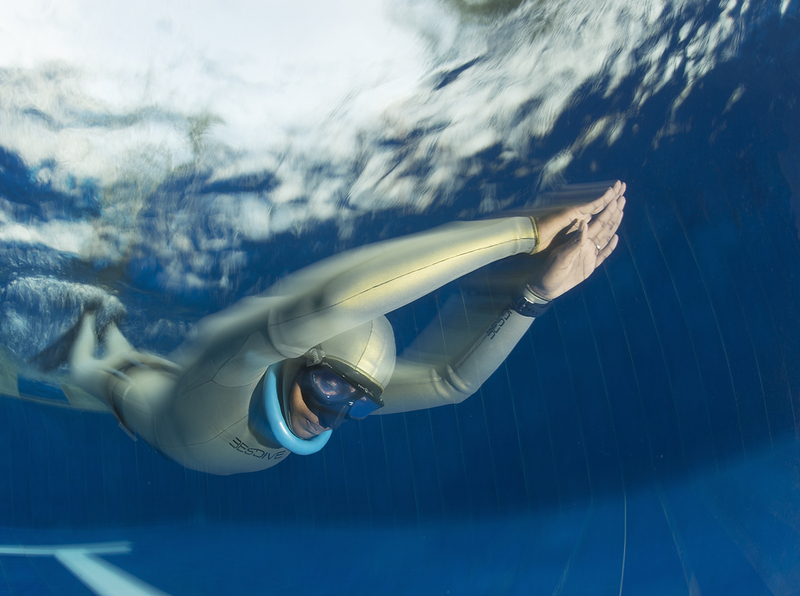 To successfully complete the AIDA 2 freediver crossover you will have to perform a 2 minutes breath-hold, swim 40m in Dynamic Apnea with fins and freedive to 16m in the Constant Weight discipline. Fiji is a well renown scuba dive destination. 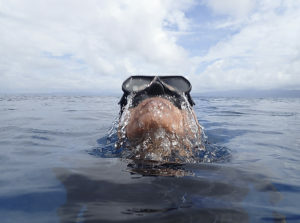 Liquidstate Freediving is putting Fiji freediving on the map. Northern Fiji’s underwater-world is still pristine in places and a fabulous playground for recreational freediving. Whether you want a break from training and line diving, or you have only come here to explore our reefs and marine life freediving, we can take you on a variety of excursions. If you have a buddy to practice one up one down safety, just hop on a dive trip with the bubble blowers and pay snorkelers rates. If you require a safety, you can hire one of our freediving instructors to accompany you who will give you extensive site briefings stay on the surface and meet you on every ascend, will carry signalling and buoyancy devices and guide you safely in the sometimes strong currents through the reef passes. In addition your instructor can take quality footage of your dives either with your own camera or ours to take home or even render professional modelling services for the serious photographers. 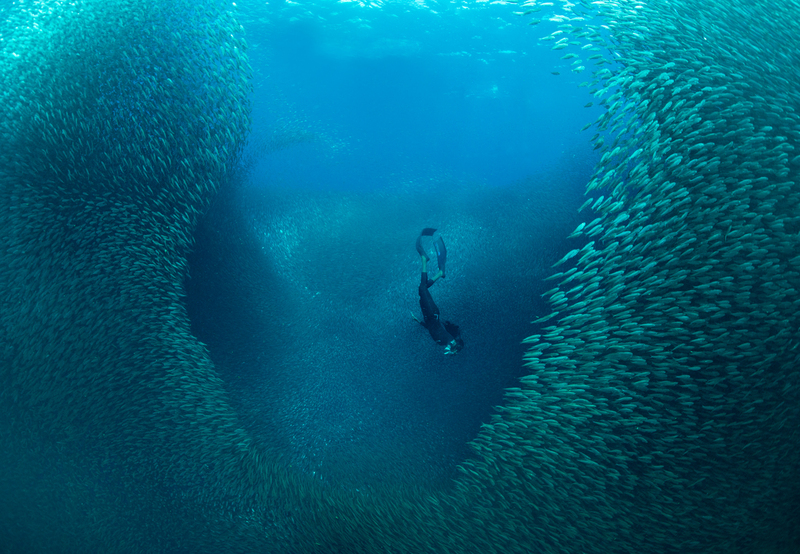 Join an excursion to the only gazetted marine reserve in Fiji and dive into shoals of swirling trevally and barracuda. Dive on the edge of the abyss among the reef sharks and glide over deep pinnacles teeming with orange and purple antheas and soft coral. In the summer months when the trade winds are interrupted, join the oceanic manta rays on their cleaning station over manta mount. This is a full day excursion and involves a one hour boat trip to reach the reserve. You will share the boat with bubble blowers unless there is a minimum number of eight freedivers. We have access to a variety of local dive sites with 5 to 10 minute boat rides, ranging from colourful coral pinnacles to cave and cavern systems all within ideal recreational freediving range of 15 to 20 meters. For the more advanced we have offshore pinnacles with dense shoaling fish life and even hammerhead shoals if you are lucky. These trips are always accompanied by an instructor / safety. During the summer months when halcyon days are more common we can take you offshore and drop a line over a 1000 meter + bottom into gin clear water. You will be able to see the bottom plate 30 or 40 meters down. 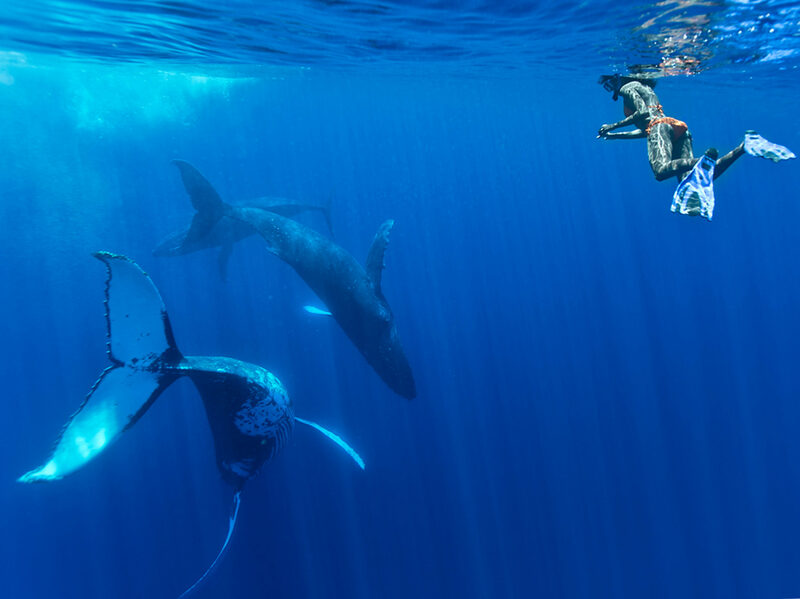 It’s like floating in air and sometimes you will get the benefit of swimming with a resident pod of pilot whales, spinner dolphins or silky sharks. An unforgettable experience. Line and lanyard are a compulsory on those dives. For photographers of every level, we offer photography tuition tailored especially for freedivers. Students should be at least AIDA 2 certified and have their own camera equipment. The workshop will teach you to convert the precious time you have on one breath into stunning images every time, take full advantage of a non intrusive approach to wildlife and will include post production workflow advice. In addition, professional freediving underwater modelling service and modelling tuition is available. For the serious photographer.